Home About The Family Baby Vetetoe Number 4: Sneak Peek Review! 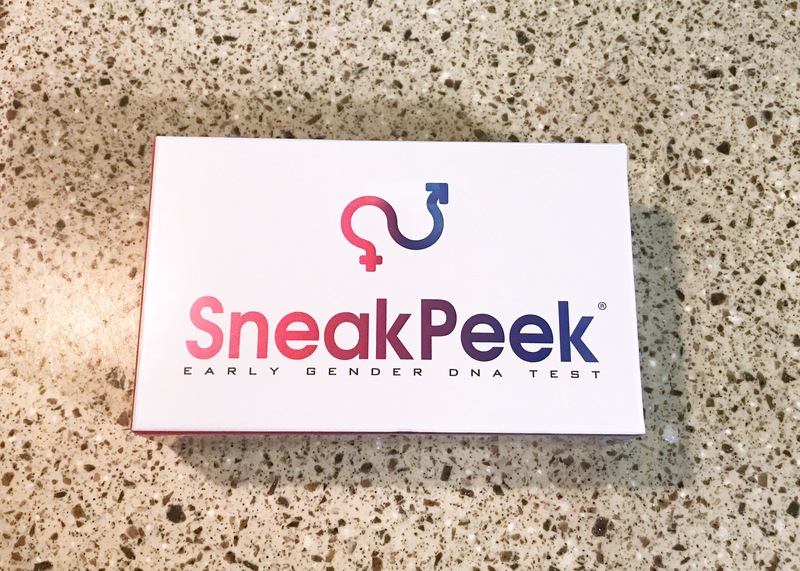 A little over a month ago, we shared on Facebook and Instagram that we were testing out Sneak Peek, an at-home gender testing kit. The ultrasounds are done, the reveal has been shared, and here is our official Sneak Peek review! Quick shipping is one thing that Sneak Peek prides themselves on and to be honest, while I was highly impressed with their turnaround, I wasn’t exactly wowed by their original ship dates. I ordered in the wee morning hours of Monday, July 31st and our package arrived Saturday, August 5th. Not terrible but also not very majestic. We’ll be nice and blame this on USPS for their crazy routing. 😉 We dropped our kit back off at USPS early on Monday, August 7th and it was delivered back to Sneak Peek on Wednesday, August 9th. Again, definitely more impressive! During pregnancy, mother and baby are connected, sharing blood as it circulates through the placenta and umbilical cord, nurturing the little one. This process leaves traces of the baby’s DNA within the mother’s blood system. Sneak Peek takes a sample of the mother’s blood and through polymerase chain reaction technology, amplifies the DNA strands within the sample. From there, they are able to determine if there are any Y-chromosomes present, signifying a male fetus, or if there are only X-chromosomes present, signifying a female fetus. It has been found that capillary blood testing, a form of noninvasive prenatal testing, can be at least 98% percent accurate in predicting gender while Sneak Peek was found to be nearly 100% accurate in a clinical setting in 2015 using this exact method. It is recommended to wait until at least 9 weeks of pregnancy to perform the test but I honestly feel that waiting a little longer my increase your odds of having an accurate result at home. For the sake of transparency, we were 12.5 weeks when we completed our blood collection. You can measure this as either 9 weeks after the first day of your last menstrual period (LMP) or as 31 before your estimated due date (EDD). We calculated based on the due date we were given at our first ultrasound which was schedule specifically to determine our little one’s gestational age. One of the most important things to remember is how this test works. The kit is delivered boxed and sealed with all of the parts either closed tight or wrapped. Contamination is the number one cause of a false positive (false boy result) and therefore the instructions specifically mention not performing the test near a male or in a male-dominated space. Ha! Easier said than done in a 42′ 5th wheel! To prevent contamination, I first washed my hands, wiped the sealed box and testing area down with Clorox wipes, and then washed my hands again. Call me paranoid, I needed accurate results or at least to know it wasn’t something I did! Collection was fairly simple for me. The lancet cut deeper than one for testing blood sugar and it poured blood making collection messy yet simple. One tip though is to have paper towels close by for after filling the tube. I found that my finger continued to bleed for almost a full minute after filling the tube and removing the rubber band. I also needed to tap the tube a few times as the blood began to bubble at the top instead of running inside. 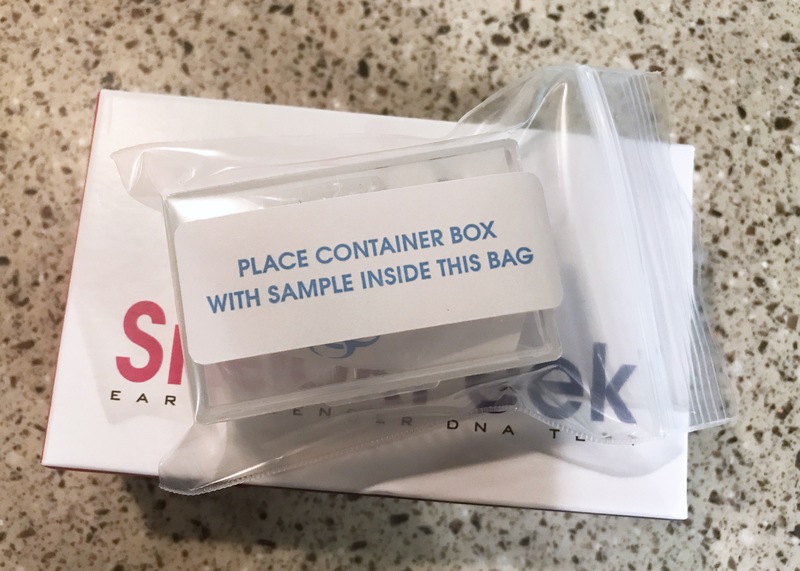 My sample arrived at the Sneak Peek lab on Wednesday, August 9th and I had an email at 5pm alerting me that I would have my results within 24 hours. Sure enough, I got the results at 2:13pm the next day. Just 21 hours later! Straightforward and sweet, the email included a digital card that opened up to reveal “Congratulations, You are having a baby boy!”, followed by an analysis report. There are three parts to the analysis report: DNA Threshold, Results, and Interpretation. In essence, there needs to be a sufficient amount of DNA for testing, they test to see if there are Y-chromosomes, and then they determine a result based on the data collected. Easy peasy to understand and even more exciting to see laid out! Our overall experience with Sneak Peek was definitely a positive one. The turnaround time was incredible with results arriving within 72 hours of shipping, the whole process was fairly painless, and the results were accurate. It’s a boy! If we choose to have more children in the future, we will almost definitely purchase a gender test kit, even if just for the fun of it! Order your own Sneak Peek gender reveal test here! Previous articleBaby Vetetoe Number 4: Gender Reveal!